activity that has been a pastime around the world for centuries legally. They can now bet on sports such as the NFL, NHL, NBA, MLB, MLS, MMA, fantasy sports, and horse racing. At Gambling360, our aim is to help Americans understand how to bet on sports. With this recent legal development, we have tasked ourselves with creating a sports betting for dummies guide for all the Americans who may be interested in betting on their favorite sporting codes. We’ve got all the best tips, tricks, and strategies to help you make money on sports bets. So, sit back and relax while we walk you through the basics of betting on sports. Our expert gamblers have put together this online betting guide for beginners, intermediate sports bettors and pros. When learning how to bet on sports, it’s important to know the odds for every possible bet. These odds change regularly, based on developments with the sport. One of our top sports betting for beginners tips involves checking multiple bookmakers when betting on sports. This is because most bookies offer varying odds. Point spreads – player odds, team odds, etc. Moneylines – positive or negative. Game totals – final scores. Futures – bets on who may win a tournament. 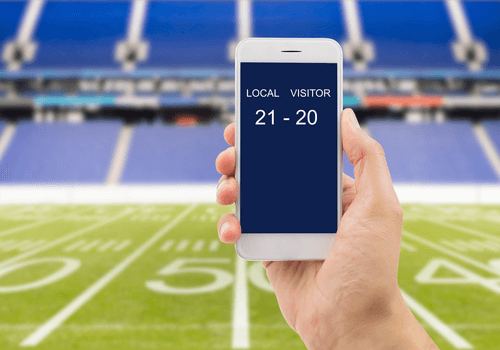 Proposition – win or lose. First off, we have to warn US gamblers of one key thing: there is no guaranteed strategy to win every time. No matter how many sports betting guides promise to provide bettors with ‘fool-proof’ approaches, always remember it’s just not possible. Most of the time, they’re just a scam or offer tips based on insider information. If you didn’t know, passing inside knowledge to gamblers is illegal on a federal level. Since that’s out of the way, our bet guide will focus on tips for minimizing your losses. When betting online, we always recommend doing your homework. Knowing the odds, previous games and trends in bets is vital to placing the right wagers. After all, no one would want to bet on a team or player who is facing a losing streak. Placing real money bets takes careful consideration, especially when the outcome is out of your hands. Be sure to check our blog for the latest sportsbook tips. Our beginners betting guide would not be complete without having a quick look at sports betting bonuses. So, one of the best things about betting at an online sportsbook is that you often get gifted bonus funds. This allows you to make extra bets and thus gives you more opportunities to win real money prizes. Ultimately, there are a few things you need to keep in mind about bonuses when signing up to an online sportsbook. Firstly, pretty much all online betting sites offer promotional bonuses upon signing up, so don’t be beguiled by the first offer you see. Secondly, these offers come with wagering requirements that need to meet before any real money prizes will be paid out. Make sure then that you sign up at a sportsbook that doesn’t have ridiculous rules governing their bonuses. Finally, make sure not to get too carried away with bonus and promotional offers. 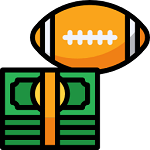 Essentially, sportsbooks will always offer great opportunities to make highly profitable bets on highly-publicized sporting events with promotions and bonuses. This is especially true during playoff season. However, if you can’t afford to bet at that time, don’t make a deposit just to get a bonus. Pay Attention to Team Line-Ups and Form – make sure that when you are betting on a sport you have a look at a team’s line-up. Do they have all their star players? It is important not to over react to changes though. For example, an NHL team starting a different goaltender does not necessarily mean that they are more likely to lose the match. 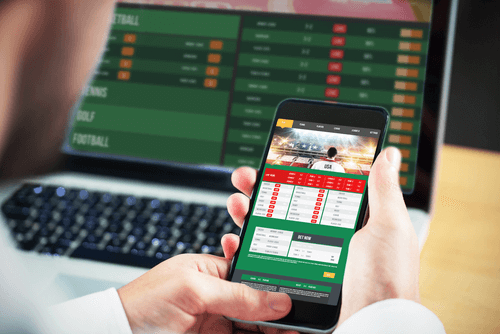 Stats Can Help Make Better Bets (When Read Correctly) – it is important to remember that while stats can give you a better idea of what a player or team’s form is currently like, they can also be misleading if read incorrectly. For example, some stats may suggest a soccer team scores in every game due to one high-scoring game, etc. So, do make sure to read these facts properly. Past Performances – make sure that you have a good working knowledge of how a team has previously performed in a particular competition. Some times this can help you deduce whether or not they are going to win it. Always remember though that past performances aren’t a guarantee that a team will perform a certain way. Placing bets at online bookmakers is fairly quick, if you’ve done some research. Once you’ve got that down, it’s time to start online sports betting. You’ll need to have a verified account and an internet connection. At local betting shops, skip to step three. Or read our guide on how to read beginners guide to betting odds.